MOT TESTESTING, SERVICING, REPAIRS, PARTS, AIR-CONDITIONING, DIAGNOSTICS, LIGHT GOOD VEHICLES & MOTORHOMES. Welcome to Alfa-Tech. 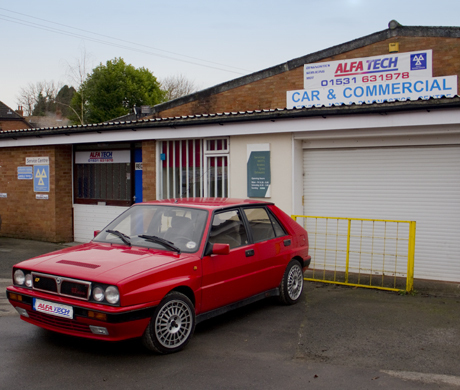 We are a Fiat, Alfa Romeo, Lancia and motorhome specialist based in Ledbury, Herefordshire. We deal with all car makes and models and offer a free courtesy car if required.